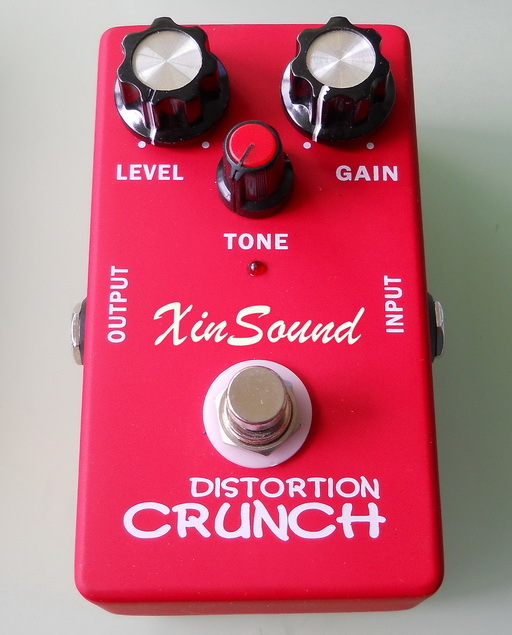 Model: DS-10 Crunch Box Distortion-Distortion-XinSound Music Co., Ltd. The Crunch Distortion Guitar Effects Pedal This pedal is designed to deliver a high gain, vintage British sounding distortion. The tone it creates is similar to a cranked up Marshall Stack, and as soon as you play it you’ll be wondering how they fit so much Marshall Tone into such a small pedal. The pedal has a lot of gain to it, and even when played at a mid-level setting, it still delivers some incredible distortion sounds.